This session will explore Bhutan's e-Government journey, from where they started to where they are now and where they plan to go. Jigme will discuss their government's need for a data sharing platform as critical infrastructure, and how WSO2 has met that need for the Royal Government of Bhutan (RGoB). He will also touch on the digital identity for the RGoB in terms of what they have now with the identity manager and what they need for the future. Jigme has been involved with the Department of IT and Telecom since its inception in 2003. He has been a key player in the Royal Government of Bhutan's digitization journey from computarization to connectivity and now interoparability. 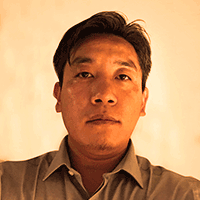 He has been one of the main drivers of e-Government in the Royal Government of Bhutan. He has a M.Sc. in Information and Computer Science from the Univerity of Oregon.